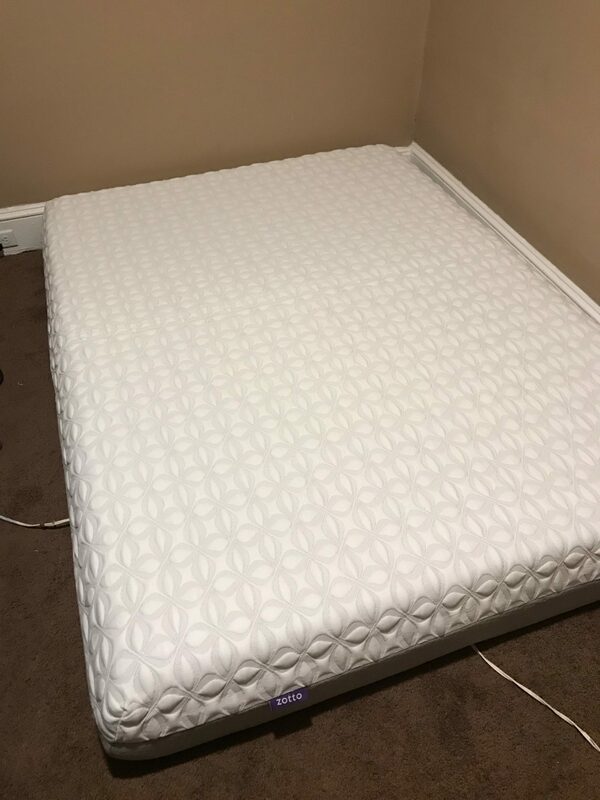 Zotto Sleep Mattress Review was recently completed by the MattressJunkie.com team. Zotto is endorsed by doctors and industry critics for superior cooling, comfort, and pain relief. Zotto developed a dynamic support system that fits all sleepers regardless of sleep style. This system, Z3 Hybrid Foam Package, uses various pressure ratings that only activate when necessary. This allows a sleeper of any size to enjoy pressure relief, comfort, and proper support. 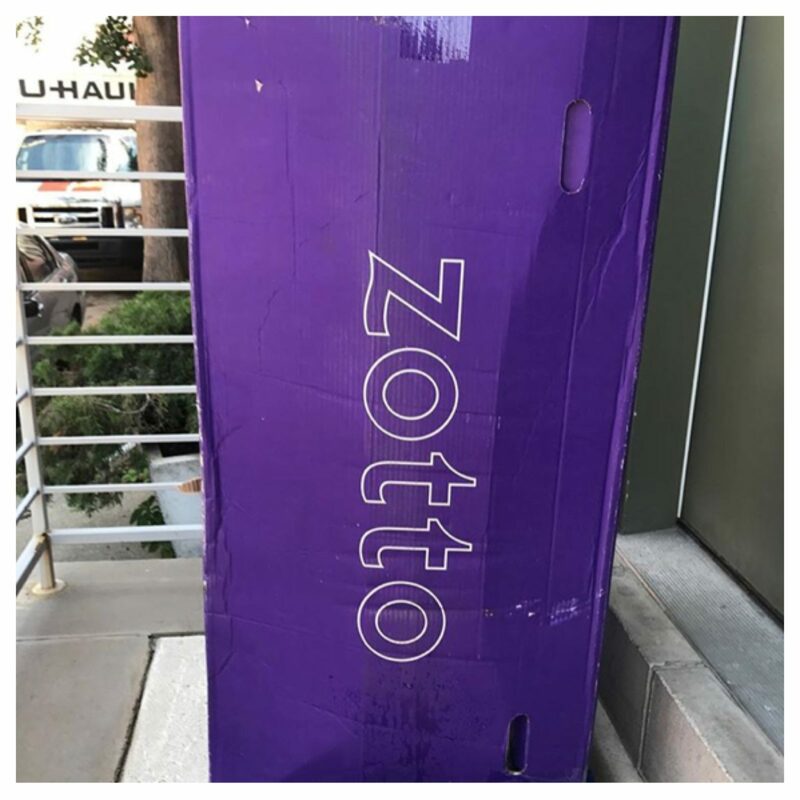 For this review, Zotto sent over a queen mattress. The queen, Zotto Sleep Mattress, retails for $925. 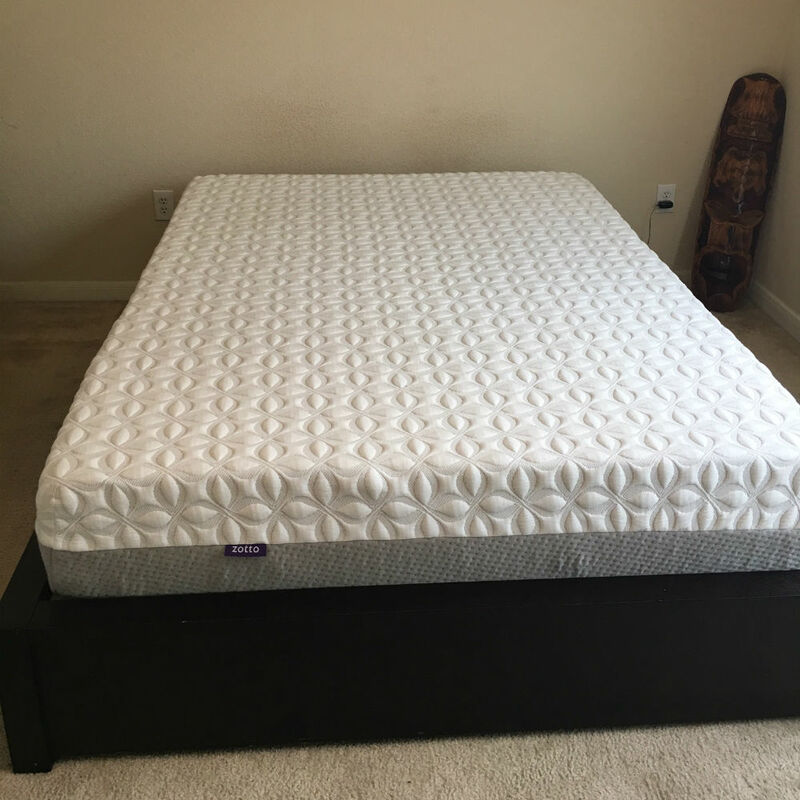 Read more to find out how Zotto Sleep stacked up in our review process. What’s the Zotto Sleep Mattress cover made of? The Zotto Sleep Mattress has a poly-rayon, removable cover. The cover is white in color with a design. The poly-rayon cover is light, hugs the mattress well, and sleeps cool. What’s under Zotto Sleep Mattress cover? The Zotto Sleep Mattress has 4 layers below the cover and is 10 inches in height. The first layer is comprised of Zotto’s Thermaphase Comfort Layer. This 2-inch hybrid layer that cradles the body while providing temperature regulation. The second layer is the Coolflow Support Layer. This 2-inch open-cell hybrid material that provides cooling and pressure relief. 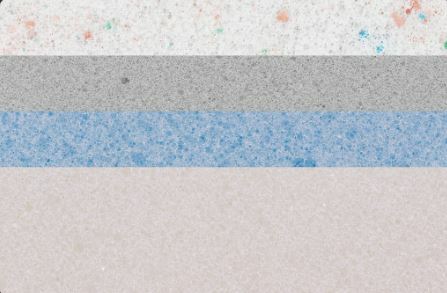 The third layer is a transition layer. This 2-inch layer provides bounce, prevents sinking, and gives the mattress edge support. Those who like to sleep close to the edge or use the edge of the bed will appreciate the edge support on the Zotto Sleep Mattress. The fourth layer is 4 inches of ultra-dense base foam. Base foam gives the sleeper proper support and is vital to the longevity of your mattress. What type of sleep style works best for the Zotto Sleep Mattress? The Zotto Sleep Mattress use their own Z3 support system that activates and adapts to all sleep styles so side and back sleepers will sleep well on the mattress if they like a softer medium level of firmness. Stomach sleepers usually prefer a firmer surface. How much does the Zotto Sleep Mattress cost? What type of warranty does the Zotto Sleep Mattress have? The Zotto Sleep Mattress has a 10 year warranty and a 100 day sleep trial. If you don’t like your Zotto Sleep Mattress for any reason, the will give you a full refund within the first 100 days. 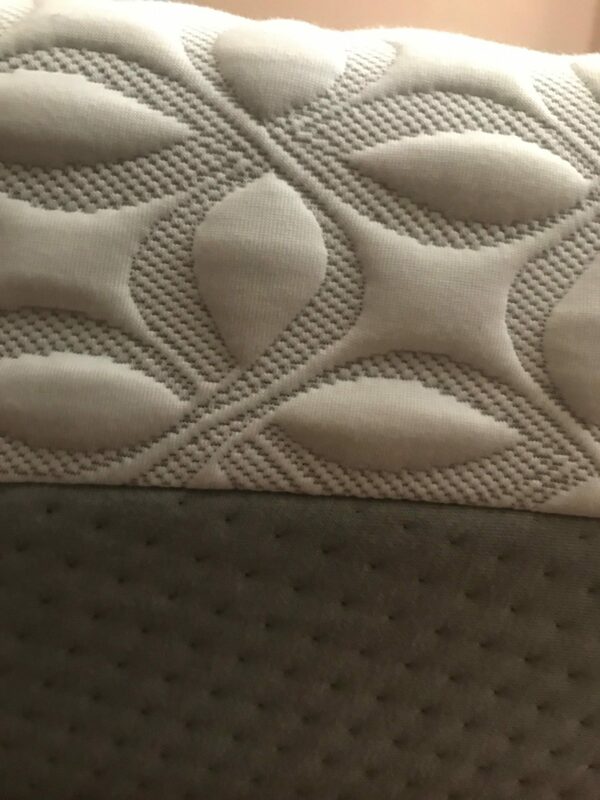 What surface is best for the Zotto Sleep Mattress? 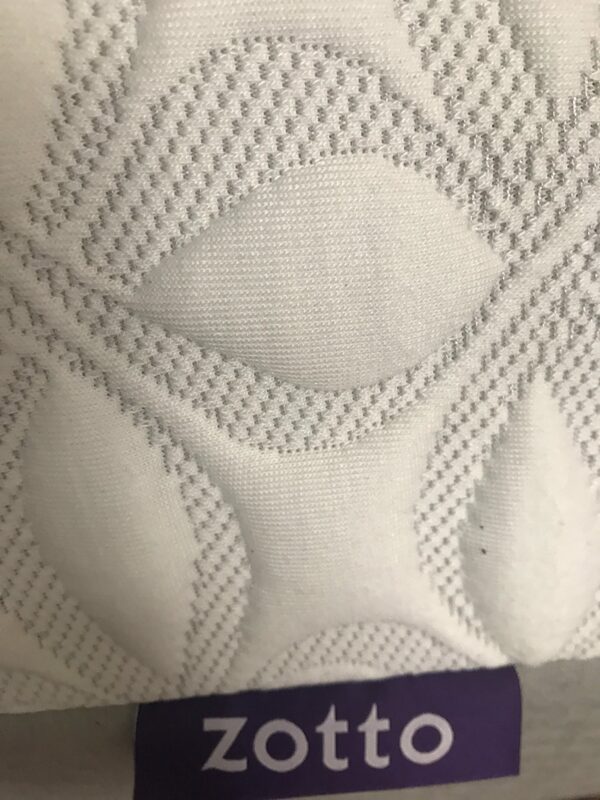 We reviewed our mattress on the floor. Any hard surface like a platform base, box spring, adjustable bed would work great with the Zotto Sleep Mattress. Do we recommend the Zotto Sleep Mattress? The Zotto Sleep Mattress is an all foam, high quality mattress. Zotto ships within one day of ordering so this is a great option for those needing a mattress as soon as possible. We liked the softer medium firmness of the Zotto as a side sleeper. The cradle is just right and you never get hot. If you are a side or back sleeper who like a medium level of firmness, the Zotto Sleep Mattress might be a good fit for you.